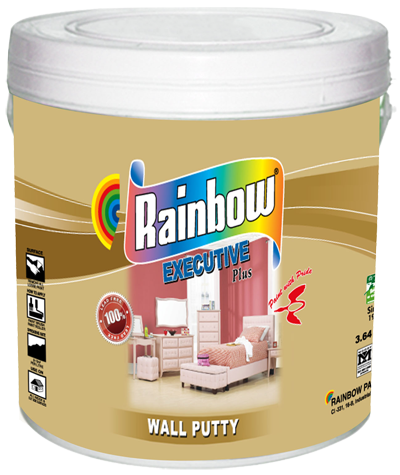 Rainbow Wall Putty is water based ready to use putty for surface preparation. The resin used in the preparation of this putty also helps preventing alkali and efflorescence in the wall. It is formulated to fill gaps and voids of uneven surfaces with excellent built in bonding properties. Suitable to fill pores, dents and imperfections of wood, concrete and related surfaces. 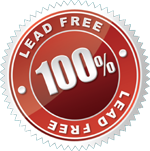 Compatible to water solvent based paints. Rainbow Wall Putty is ready for use however slight addition of water is recommended for excessive absorbent plasters. Two coats of putty is applied, with a interval of 2-3 hours between coats. Sand down the surface with Emery Paper to a smoothen surface before the finishing paint is applied. Sand down the whole area with emery paper which will remove all the loose paint film. Dust off and apply the putty in thin layer, 2 coats of putty should be applied for better finish followed by the Rainbow Plastic Emulsion Paint. Thinner: Ready to use, Water is used for cleaning utensils.